Big adventure in a very small bag! It is so small and light that it can easily be combined with trekking or biking. It firstly allows you to enjoy everywhere and anytime the change of perspective being on the water and having a full expedition proven raft with you. 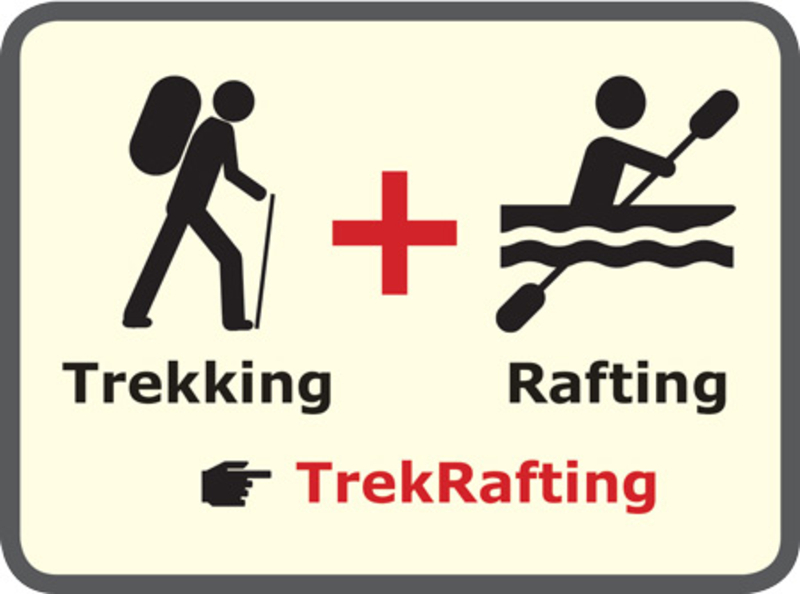 The concept of TrekRafting is a very simple one: today, most people do not only do one but many outdoor activities such as hiking, trekking, cycling, paddling, skating, geocaching and many things more. TrekRafting combines all that with being on the water – everywhere and to anytime. Just walk a river upstream or cross-country to a river or lake, make a short break with a picnic and then paddle back. Or just combine the next hike with a few units to water. Take your TrekRaft with you on a several days lasting trekking tour. Just paddle large parts of your planned route on a river or cross the lakes and fjords. There are also more and more explicit routes that combine trekking and rafting. These are only a few selected examples of a huge range of possible and never-ending activities. Until now, these special light weight and high-performance packrafts have been very expensive and mainly interesting for specialists. With the nortik TrekRaft these things change and it becomes an affordable hobby for almost everyone. The favorable price and the high quality speak for themselves. Let yourself be inspired by this fascinating trend sport and get into the raft! 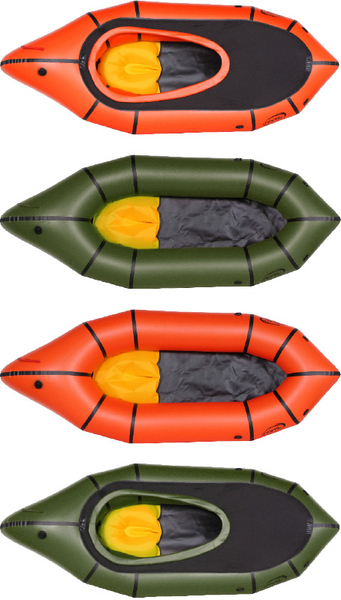 By the way: The nortik packrafts are expedition proven. There have been expeditions through Scandinavia or over the Andes Mountains with them. “Perhaps the greatest accessory to a Microadventure is a river.” This quote from Alastair Humphreys you can find in his incredible Book “Microadventures” (p. 108) where he describes several trips on the water, also and especially with Packrafts. A Microadventure is explained by the author as being “close to home, simple, short and 100% guaranteed to refresh your life”. That hits the nail on the head. If you want to plan your own Microadventure with partly or only being on the water, the nortik packraft series is your perfect companion. No matter if it is a calm river, rough white water or a lake in your area or elsewhere. With a nortik packraft your own Microadventure can start right now. The TrekRaft is made of 10 segments and we added D-Rings to fasten your gear. The shape follows the best possible behaviour in the water. There are two colours: a striking colour of bright orange that can be seen at once. But some prefer the more discreet colour dark green, e.g. hunters, fishers, etc. We use a high-performance and environmental-friendly Polyurethane (PU) material for the nortik packrafts. This very strong and durable material demonstrated its strength in many field tests. It is double coated from the inner and outer side which is also a special feature and by far not standard. We use a CAD construction and computer based cutting process that guarantees us the best cutting scheme and minimizes the need of material. It is a double coated PU-Material – means on the outside and on the inside you have a PU coating for best durability. The nortik packrafts are welded with hot air as far as possible. Some parts like the D-Rings are attached by high-frequency welding. Only what is necessary is glued (bottom parts). PU is much more environmental-friendly than PVC and many other materials you find in the water sport segment. We searched a long time for a very durable and high-performance material that fits to the needs. In the end it can be recycled (energy recycling / material recycling). In our view, this really fun and enjoy generating kind of activity has to be affordable for a wide audience. The few Packrafts you can find on the market have normally more weight, bigger packing size and are much more expensive and show partly more than twice the amount a nortik packraft costs. The nortik LightRaft e.g. costs not more than a good three-layer Jacket (and it can save you from the rain, too ;-)! Please note: There are two different types of TrekRafts available: without deck – that is more for recreational use in calm water. Another type is the TrekRaft with Deck: That one is more for professional use and/or for white water. The TrekRaft with deck allows also to attach a spray skirt to stay dry in the water and comes with thigh straps as a standard. The Materials and shape are the same.